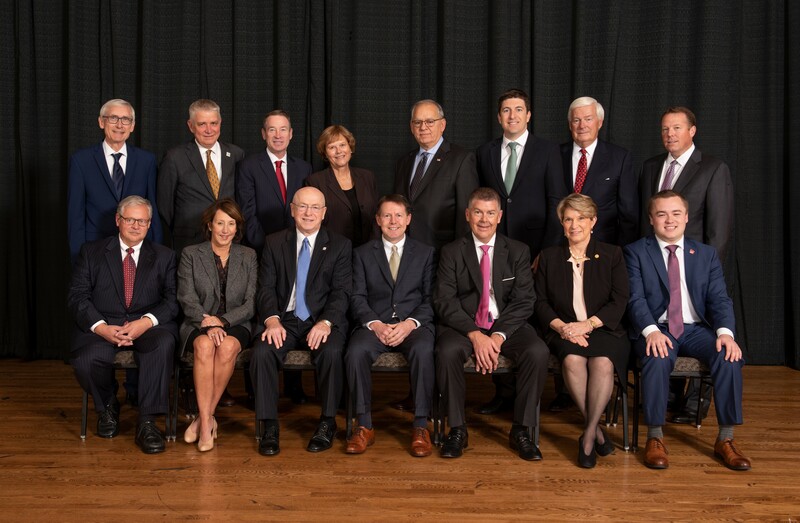 The Board of Regents of the University of Wisconsin System consists of 18 members, 16 of whom are appointed by the Governor, subject to confirmation by the Senate. Of these 16 members, 14 serve staggered, seven-year terms. Two UW System students are appointed for two-year terms; one of the two is a non-traditional student. The two ex officio members are the state superintendent of public instruction and the president or a designee of the Wisconsin Technical College System Board. The Board is responsible for establishing policies and rules for governing the System, planning to meet future state needs for collegiate education, setting admission standards and policies, reviewing and approving university budgets, and establishing the regulatory framework within which the individual units are allowed to operate with as great a degree of autonomy as possible. The Board appoints the president of the university system and the chancellors of the 13 universities. The Board grants tenure appointments to faculty members. The Board’s regular meetings are held eight times per year; special meetings are scheduled as needed. The appointed Regents serve without pay. The President, Vice President, and a full-time Executive Director and Corporate Secretary are elected each June during the Board’s annual meeting. The Board President designates Board committee membership and other appointments.